Have only made the Toffee Souffle -not the banana and lime ice-cream. The souffle is an excellent recipe, but a bit complicated. I found I can simplify the recipe by not lining the ramekins with praline and instead just buttering them - makes the souffles just a tiny bit less wonderful, but quicker to make. The thing I like about this recipe is much of it can be done a couple of days before serving just leaving folding in whipped egg whites and baking to be done at last minute. Gordon Ramsay has recently become almost more famous for his award-winning TV shows "Kitchen Nightmares" and "The F Word", than for his expertise as an awardwinning chef and restaurateur. However, at the heart of his talent is a passion for good food and an eye for perfection that has consistently seen him receive three coveted Michelin stars. 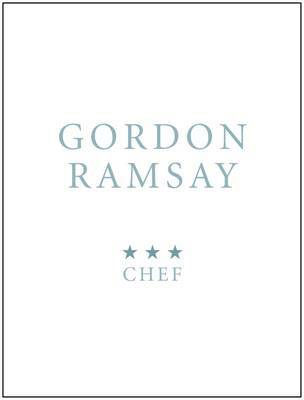 He has been called the best chef of his generation, and this book sees Gordon at his day job - running a three-star kitchen and producing food often described as 'sublime'. Getting right to the heart of why Gordon is such a celebrated chef, the first part of the book shows 50 classic Gordon Ramsay recipes presented as they would be in one of his restaurants. The second part of the book shows the dishes presented in a domestic situation with full recipes and step-by-step instructions to recreate them yourself. Dishes include Gordon's signature Lobster Ravioli, Corn Reared Beef Fillet with Marrow Crust, Ginger Mousse and a Bitter Chocolate Cylinder with Coffee Granite.